Spectrum High Fire Stoneware 1100 series glazes are some of the best choices for dinnerware. 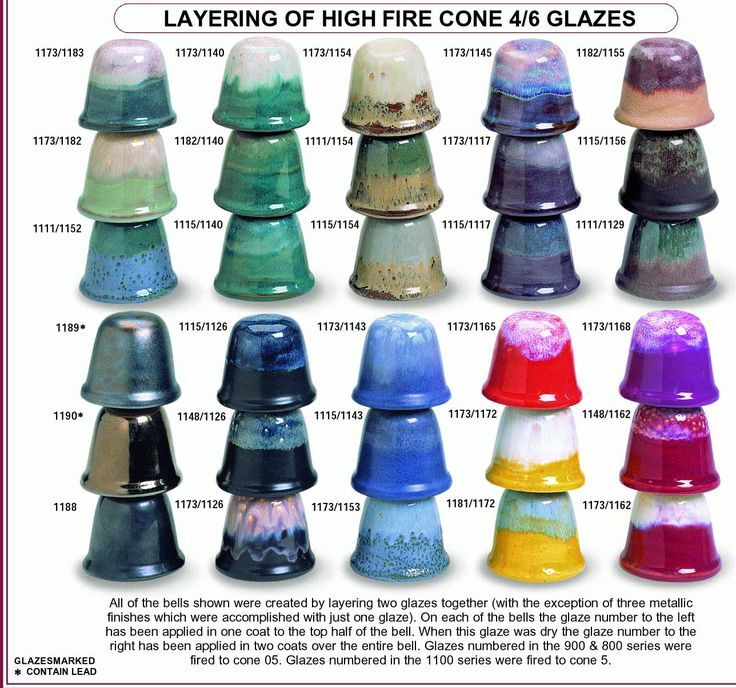 These cone 4/6 stoneware glazes are completely lead-free and dinnerware safe. You can always feel confident using these glazes on cups, plates, bowls, serving dishes, and more. Sheffield Pottery offers a wide selection of these glazes in shades that are sure to please any hobbyist or professional potter. The majority of the glazes in this series have an A/P non-toxic rating from the Art & Creative Materials Institute, making them safe for use by anyone. Those glazes that are reactive are the only exceptions. These are rated C/L, which means they may be toxic when in liquid form. Fortunately, we carry a vast array of non-reactive glazes that can be enjoyed by children and pregnant women who wish to make their own dinnerware safe pottery. They can choose from a wide range of finishes as well. Gloss and satin finishes are all dinnerware safe, including those that are reactive. Crackle finishes offer a unique item with every firing, but they are not safe for dinnerware. Sheffield Pottery sells Spectrum Glazes in wet pints and gallons for brushing. We also offer dry 10 pound bags for dipping. Some of our most popular stoneware glazes are the reactive colors which produce multi-tone and multi-colored effects by the combination of various metal oxides. Many other interesting effects can be created by layering these reactive glazes. In particular, layering a more fluid glaze, such as 1173, underneath or on top of one of the other reactive glazes often produces beautiful results. All of our Spectrum Ceramic Stoneware Glazes are available wet in pints and gallons. They are also available dry in 10 lb. bags. The wet glazes are set up for brushing application. The dry glazes are set up for dipping application. For dry glaze mixing please follow the instructions carefully especially with respect to the amount of water required.